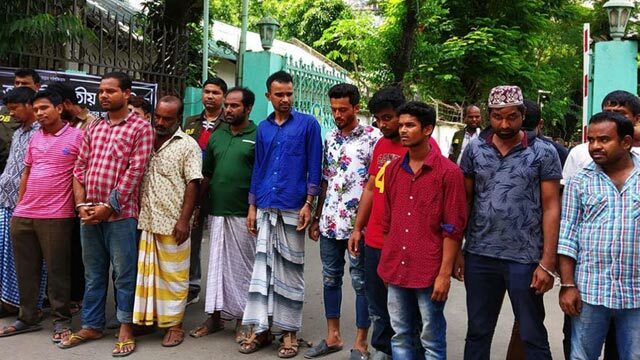 Dhaka, Aug 18 (Just News): Detectives today claimed to have arrested members of multiple criminal gangs from different parts of Dhaka. At least 79 people were arrested including members of doping gangs, eight fake currency makers, six drug dealers and eight snatchers, according to an SMS floated to media from Dhaka police. The members of Detective Branch (DB) of Police also recovered 75 lakh fake notes, 61150 pieces of yaba tablets & 12 mobile phone sets, the SMS adds. A briefing in this regard will be held at Dhaka Metropolitan Police(DMP) Media Centre later in the day.